Its that time of the year again when we get a bunch of figure reveals from WonFes. The ones I am showing are only a small sample and are ones that I myself am keen on. First up we have figma Angela which to me is very reminiscent of Miku Append Version thus I really like her design. Then there is Motoko Arise Version which I am interested in on account of her outfit, which I would use as I use Tsukihi; as a body for other figmas. 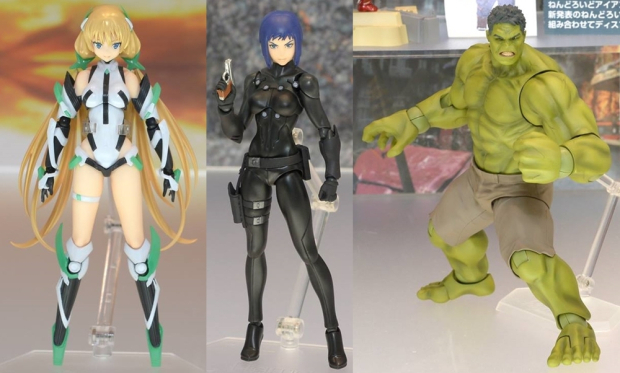 Figma Hulk was also revealed and he looks promising though the price tag and the accessories I think will be the deciding factor and also his size, whether or not he is larger than all the other figures as he ought to be. 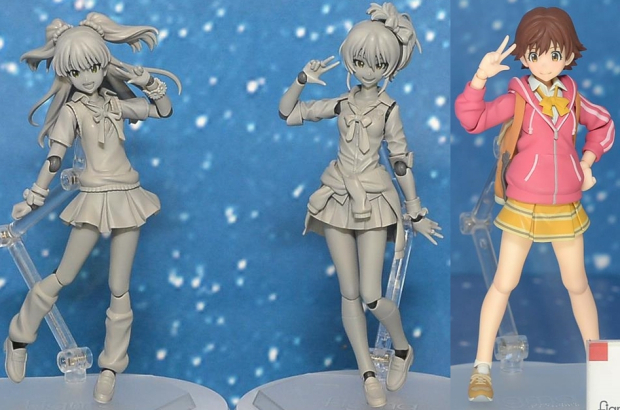 Then to my surprise they revealed new Rika and Mika figmas who as far as I can tell have exactly the same sculpt as the previous WonFes Exclusive figmas. I feel rather put out on account of this as I had to get mine from Mandarake at a higher than retail price. They also featured another member of the Cinderella Girl cast which they had previously revealed and as of yet I can't make my mind up whether I want to get her or not. I really don't like zip-up jackets but everything else is so cute. Then from the new Orange Rouge line they revealed these two figmas and although I'm not really familiar with the anime they are from I always have an eye out for male figmas whose designs I like. From Cu-poche we have more accessory sets, first is this adorable clothing set, now typically I do not like mixing figures with fabric items as I think it looks a bit odd however depending on whether the paws are plastic or fabric I might get this set. Also there was this image of faces and I am guessing that maybe they will bring out extra face sets which can be used on all of their figures which would be awesome. Figma also revealed two new Archetype sets and I found the Next one interesting as it appears to be modelled more on their line of realistic and statue figmas which they have been releasing as of late. If I were could at making custom figures these would be on the top of my list. Cu-poche also revealed a new figure though I think it would be best if they released the other costume options for the Idol Masters as they do the Gym and Swim sets that way its not as costly and you could get them for your other figures. And lastly I saw these adorable Rilakkuma and Korilakkuma figures, so tempting and adorable. Also S.H. Figuarts are making Ultron, he looks so awesome. 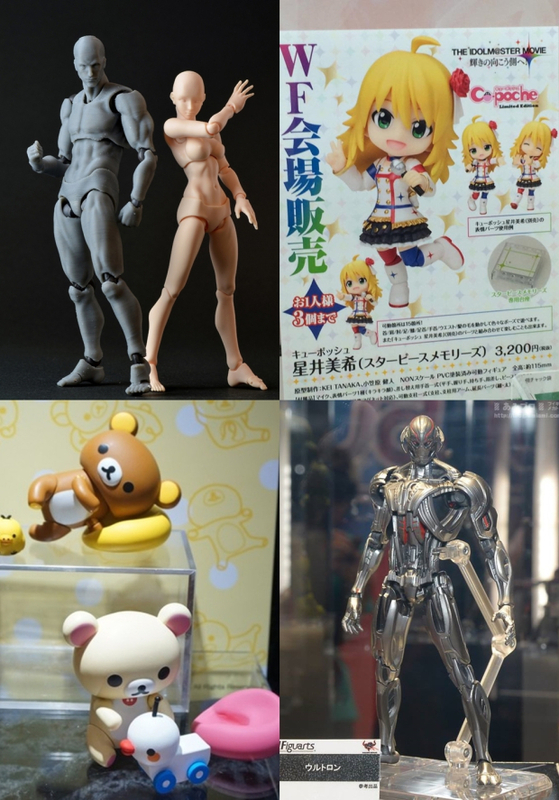 What figures did you see at the WonFes which are on your radar?